"In the city, old women with faces as soft and ill-lit as the side-streets of Central Europe offered their pansies; hats floated off the Fifth Avenue bus; the clouds sent out a prospectus over Central Park. The streets of New York smelled acrid and sweet like drippings from the mechanics of a metallic night-blooming garden. The intermittent odors, the people and the excitement, suctioned spasmodically up the side streets from the thoroughfares rose in gusts on the beat of their personal tempo." - Save Me The Waltz. Zelda Fitzgerald (@FirstFlapper) discusses her novel Save Me The Waltz. Save Me The Waltz is a fairly unique novel in style and structure. You truly have a way with descriptions. What was it that inspired you to write it? I would be lying if I said being confined weren’t a factor. After many years of seeing Scott become distracted by life – parties, friends, drink – I felt I had a duty to take advantage of the time I had free from social pressures. Of course, I was unwell – exhausted, fatigued, nervous – and the focus my writing afforded me was extremely therapeutic. Like many (most) writers, it was a self-indulgent exercise as well. I wanted to exorcise the demons that were haunting me at the time. It was a release. You wrote the first draft of this in a few weeks; how did you write it so quickly? As I said, the absence of distraction was a factor in the speed with which I was able to write. However, there were other factors. I was unhappy, and my thoughts were rapid – sometimes disordered – so the words just came out that way. I did not have the pressures Scott had on him. People always expected him to produce elegant prose, witty and searing commentaries on wealth and society, whereas for me, it was personal. I did not have to a give thought to how the critics would take it. I’ve always been the spontaneous one in our relationship –passionate and impulsive, so there seemed no other way to write than directly from my heart. So you had no plans to publish the book at first? Ah, you’ve got me there. Of course, there was always the seed of an idea, a breath of hope at the back of my mind: perhaps someone would publish it. Perhaps I would be a literary phenomenon like Scott. But it was secondary. I know from experience that too much focus on the end product can destroy the creative impulse. It was more important to write the thing, than for it to be read. How did it feel to be told someone would publish it? There has been a lot of discussion about how autobiographical the novel was in its original form. Did Scott persuade you to edit it beyond recognition, or has this been exaggerated? This has been exaggerated. The book in its original form was rough - and raw. Scott helped me refine it. Sure, I changed some of the names, and took out some of the potentially embarrassing material, but I think you’d agree, David and Alabama are still recognizable as exaggerated versions of Scott and I. I don’t think the story lost the heart with which it was born. There are points at which you take on the role of social commentator. There is a particular section which seems quite scathing of Americans in Europe. Did you become disillusioned with the scene in Paris? Ah yes, I remember first writing it. I got quite angry. I guess I didn’t realise how much resentment I was storing up from our time on the Paris circuit. There were so many rich glamorous Americans who traded in nothing but hollow words and extravagant gestures, petty flirtations, and money. They shone with wealth, slippery with it. Scott saw through it too. You only need read some his work to see that. I think that time spent in the bosom of high society really took its toll on both of us. Alabama gets to live out her dream of becoming a ballet dancer in Naples, though it all ends in injury. Why did you opt to give your main character the chance you didn’t take up, only to take it away from her again? I guess I was playing out another thread of my life through Alabama. When I was offered the chance to dance in Italy, I knew Scott would not approve, and I wasn’t entirely sure I wanted it. Exposing myself to the world in such a public space felt dangerous. I knew that while it may be the future I craved, it might just as likely be another failed attempt. But you make me sound so cruel. Alabama does get her chance, she does immerse herself in the life of the ballet, and she does enjoy the squalor of her life in Naples. Even with all this though, her life feels kind of empty. When Bonnie comes to visit, she doesn’t realise what fulfillment her daughter brings until she’s gone again. Perhaps I wanted to show that Alabama is never satisfied. She wants everything- all experience, all love, all passion, all skill- but this will always be an impossibility. Undoubtedly the most moving part of the novel is Alabama’s final encounter with her dying Father. Was this the most painful part to write? It’s hard to quantify ‘most painful’, but it was certainly one of the harder sections to get right. I wanted to convey that sense of coming home, of finding everything different, everything lost. I think Alabama never really realised the love and respect she had for her Father until he was on in death bed. And that acted as a sort of trigger for her. She suddenly saw all the happiness she’d lost, everything her life had been and could never be again. I suppose it’s about losing her innocence. Finally there's a lot of hype about the new Gatsby film. Will you be seeing it? 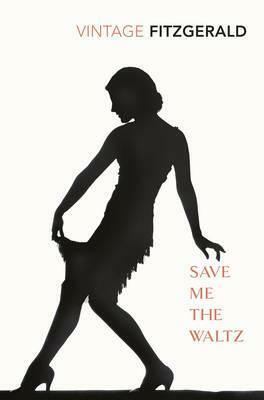 You can buy Save Me The Waltz from all good book shops.